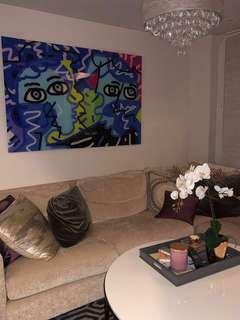 @katiedubin is on Carousell - Follow to stay updated! Spread collar with silver button front. Relaxed fit. 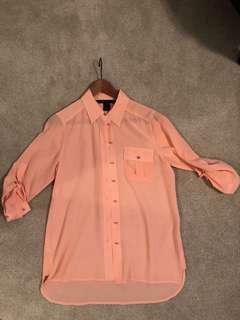 Coral colour. Excellent condition. No stains or holes. 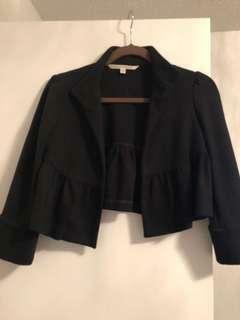 Peplum style cropped blazer with a single button at the neck. Stretchy material. In great condition. 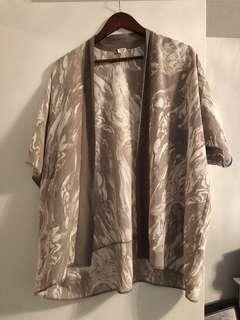 Wilfred silk kimono jacket cover up in hues of grey taupe and white. Excellent condition. 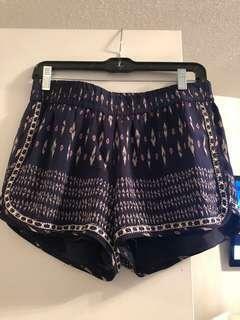 Patterned silk shorts in purple and blue. Silver trim up the side and at the hem. Elasticized waist. Perfect condition. Hardly worn. 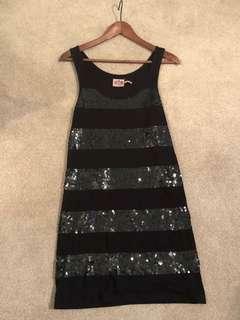 Black cotton-blend dress with horizontal sequin stripes. A-line. 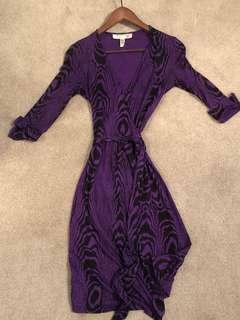 Scope neckline and sleeveless. Mid length. Empire waist with plunging v neckline on a halter strap. 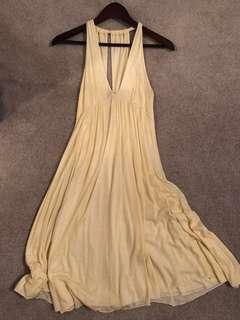 Silk, white and yellow strips. Mid length. No stains or holes. Very good condition. 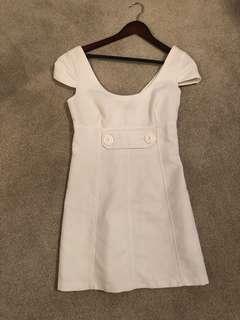 A-line short, cotton summer dress. Excellent condition. No stains or holes.